Nearly all large American cities rely on zoning to regulate land use. According to Donald L. Elliott, however, zoning often discourages the very developmthat bigger cities need and want. In fact, Elliott thinks that zoning has become so complex that it is often dysfunctional and in desperate need of an overhaul. A Better Way to Zone explains precisely what has gone wrong and how it can be fixed. A Better Way to Zone explores the constitutional and legal framework of zoning, its evolution over the course of the twentieth century, the reasons behind major reform efforts of the past, and the adverse impacts of mcurrcity zoning systems. To unravel what has gone wrong, Elliott identifies several assumptions behind early zoning that no longer hold true, four new land use drivers that have emerged since zoning began, and basic elements of good urban governance that are violated by prevailing forms of zoning. 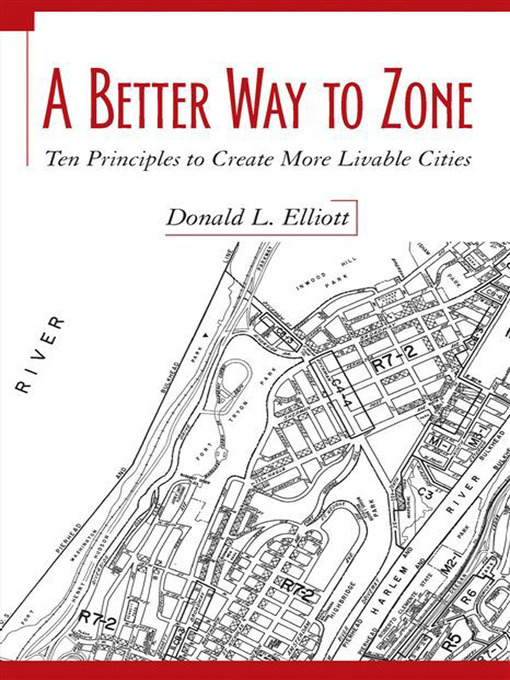 With insight and clarity, Elliott then identifies ten sound principles for change that would avoid these mistakes, produce more livable cities, and make zoning simpler to understand and use. He also proposes five practical steps to get started on the road to zoning reform. While recdiscussion of zoning has focused on how cities should look, A Better Way to Zone does not follow that trend. Although New Urbanist tools, form-based zoning, and the SmartCode are making headlines both within and outside the planning profession, Elliott believes that each has limitations as a general approach to big city zoning. While all three trends include innovations that the profession badly needs, they are sometimes misapplied to situations where they do not work well. In contrast, A Better Way to Zone provides a vision of the future of zoning that is not tied to a particular picture of how cities should look, but is instead based on how cities should operate.